Half-life of euro is 9.1 years. 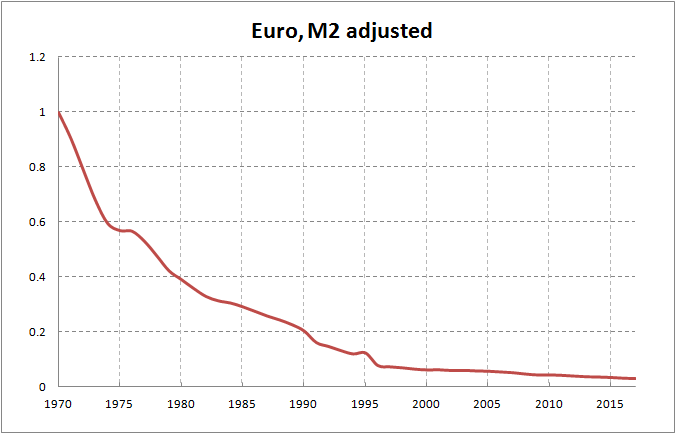 Euro is losing half of its value every 9 years. NOTE: Euro was introduced on 1st January 1999. 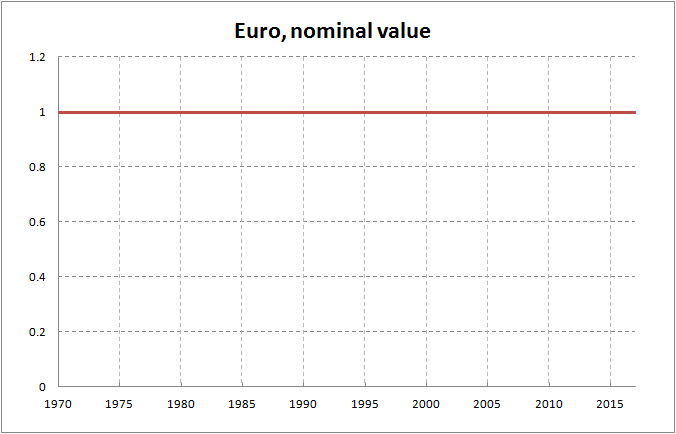 Chart values prior the year 1999 are based on basket of currencies preceding euro.